The healthcare industry is rapidly changing in terms of regulations, legislation, costs, and other factors. With the digitization of healthcare, the efficiency of work processes, compliance, and privacy are all becoming increasingly important. What does this mean for providers and administrators? The traditional methods of storing and having documents signed by patients and employees for onboarding are becoming increasingly outdated and costly. It’s time for a change. Electronic signatures and online forms are not only cost effective, they provide better experiences for everyone, from employees and care providers to patients. Paper is not only bad for the environment, but it’s costly as well. The dollars spent every year spent on hundreds of thousands of sheets of paper in a business can really ad up. The numbers don’t lie: with online forms and signatures, operating costs can be decreased with less paper and storage of tons of paper files, not to mention the cost of postage and mailing forms. A contract that you email has to be printed out, signed, and then scanned into a pdf, then mailed back. A document that is accessible to be read and signed online in minutes, reduces time and saves you money. Talk about a better bottom line! It’s no secret that clinics, medical offices, and hospitals have lots of paperwork: from medical records and invoices to contracts and other documents, these forms can be important but take lots of time to fill out and get returned. Say you’re at a doctor’s office and you need an intake questionnaire filled out by a new patient. Would it be effective to have them fill out 20 pages that are then filed away, prone to loss and hard to find when especially needed? Or would you rather have a new patient fill out a new online form, which you can then store in a secure database, and tag and assign to their respective doctor to read? With online forms and signatures, you’ll spend less time managing paper and will be able to archive and organize documents efficiently. With online forms and electronic signatures, you can ensure that your processes will not only be timesaving, but less error-prone. Think about it: a typical onboarding paper form will need to be scanned or rekeyed, can have hard-to-read handwriting, and usually has missing data that the patient forgot to fill out. That’s a lot of errors! In addition, a form could be lost or damaged, further delaying the entire process. An online form that tells patients or new employees where to sign and requires 100% completion can reduce these errors and save staff a lot of time and hassle. It can also lead to a better appointment experience. 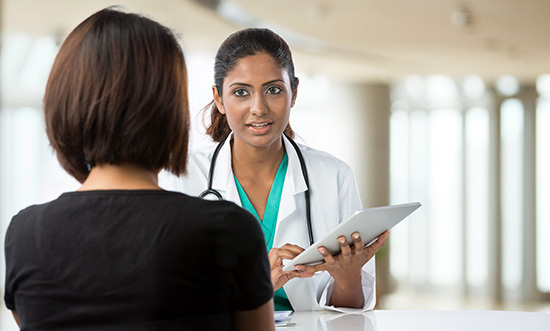 For instance, if a patient form is filled out by the patient before their initial appointment, it leaves their care provider with more time to evaluate their allergies, medications, and other medical history that makes them better prepared for appointments and more time to discuss the things that really matter. With all the paperwork that comes through offices and hospitals, a large concern is patient privacy and compliance. Patients are not only trusting you with their privacy, but to keep their data secure as well. Online forms provide a secure platform for data management that enables more authentication and security than paper documents can. It can provide a complete audit trail and prevents document tampering. Paper documents and forms can be difficult in terms of tracking, which is a big problem if an organization or business gets audited. As a document moves from signer to key contact in an organization, it can be viewed by just about anyone in some instances, exposing private information to unnecessary third parties. Another key issue is tampered documents and forgery. Think about it. Would you rather enter information on an online form with encryption that will only be accessed by necessary people, or have a paper document that can sit in a stack for months in a file room with your personal information on it? In today’s digital landscape, it’s important to stay ahead of the competition and be relevant with your patients, employees, and partnerships. 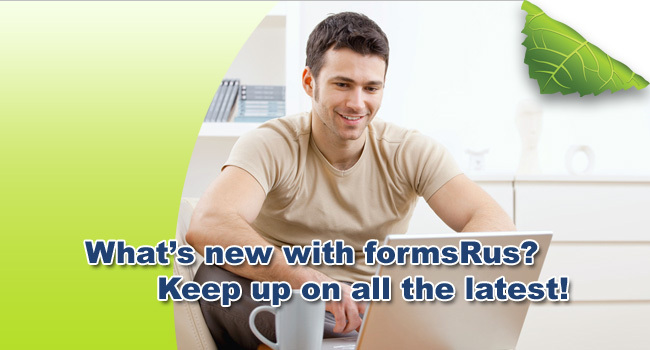 The bottom line is that electronic forms and signatures are more efficient, cost effective, and they ensure privacy. What’s not to like about them?